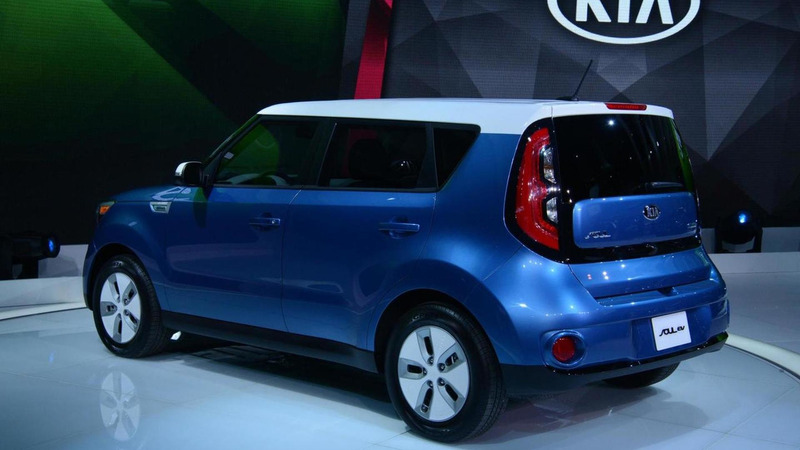 Kia has officially unveiled the 2015 Soul EV at the Chicago Auto Show. Designed to appeal to environmentally conscious consumers, the model has a two-tone exterior with a unique front fascia that has an integrated charging port in the grille. The model also has projector beam headlights, LED daytime running lights, “Eco Electric” badging and 16-inch alloy wheels with Super Low Rolling Resistance tires. 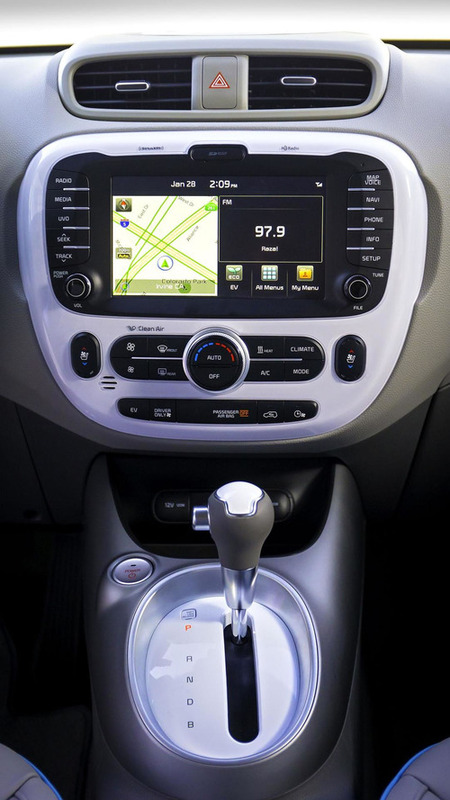 The interior comes nicely equipped with cloth seats, blue accent stitching and a variety of eco-friendly components. The model also has GPS navigation, a rearview camera and an EV-specific climate control system. Other highlights include a power driver's seat, cruise control, Bluetooth connectivity and a 3.5-inch OLED screen that provides information about the vehicle’s energy flow and charging time. Unfortunately, the conversion to an electric vehicle has reduced rear seat leg room by 3.1 inches. The cargo capacity has also been reduced to just 19.1 cubic feet (541 liters). Motivation is provided by a 27 kWh lithium-ion polymer battery which powers an electric motor that develops 109 bhp (81 kW) and 210 lb-ft (284 Nm) of torque. This enables the model to accelerate from 0-60 mph in less than 12 seconds, hit a limited top speed of 90 mph (145 km/h) and travel approximately 80-100 miles (129-161 km) on a single charge. When the battery is depleted, it can be recharged in approximately 24 hours with a 120-volt outlet or less than five hours with a 240-volt outlet. The Soul EV will go on sale in the third quarter and will be available in California, New York, New Jersey, Maryland and Oregon.